BASF launches The Nematode Challenge! BASF, the leading producer of beneficial nematodes used as pest control in British gardens, is on the search for volunteers to take part in its 2019 Nematode Challenge. 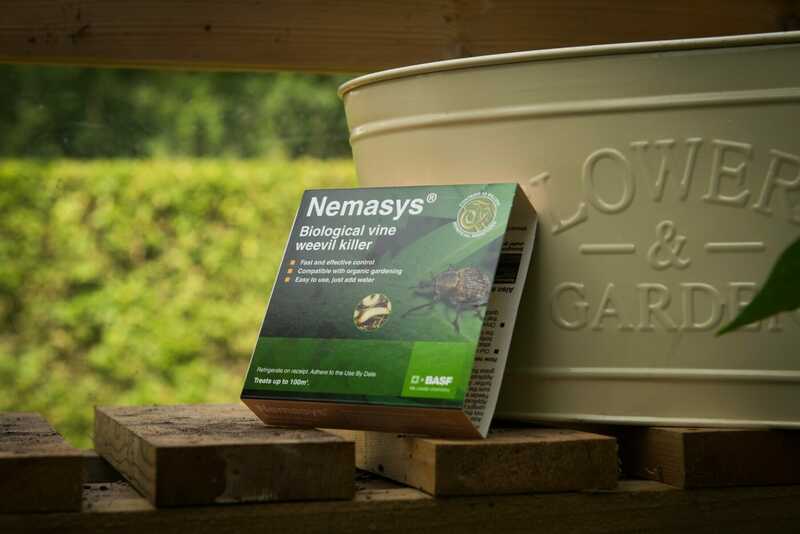 The Sussex-based company grows trillions of beneficial nematodes for use in its Nemasys range of pest controls. After an initial launch in 2017, the company has decided to run its Nematode Challenge for 2019. It will also, for a second successive year exclusively be launched in conjunction with the National Allotment Society (NAS). The representative body has over 125,000 members in which it assists them to acquire, maintain, manage and enjoy allotments across the UK. If you have not yet tried nematodes, then you will be surprised at just how simple and easy they are in helping get rid of garden or allotment pests. All of the six products are simply mixed with water and either applied from a watering can with a coarse rose or sprayed onto the foliage and soil, depending on the variety. This process is repeated throughout the season, from the moment that the first signs of pests occur and can be easily slotted into your regular watering routine. There is no need to keep children or pets away from treated areas and the whole programme is entirely biological, meaning all the products can be used by organic gardeners. Despite this simplicity, and their many benefits, many gardeners and growers are put off by them, thinking them to be too complicated or expensive. So, in order to tackle this mindset, BASF is looking for 25 volunteers across the UK to give beneficial nematodes a try and to report on their results. The allotment gardeners will represent a diverse range soil types and growing problems, along with, no doubt, preconceptions about nematodes. Volunteering couldn’t be easier, and the whole process is designed to be as easy as possibly, adding as little work to the allotments-holders as possible. To get involved, all you have to do is email sarahbryan@paskett.co.uk by 8th April 2019. Where is your allotment garden? How would you rate your recent slug problems? Which pest control products do you usually use? Do you actively encourage wildlife into your allotment? In late September, results and feedback questionnaires will be circulated, containing questions about how the volunteers found their experience of using Nemaslug, and whether they would use it again. This is a great opportunity to try something new, and you may just find your new favourite pest control solution! If you are interested, please get in touch and we will send further information.